Ticket Sales Date and Theme Announced for the 9th Annual Blue Ribbon Bacon Festival! Organizers of the Blue Ribbon Bacon Festival announced today that tickets to the 9th Annual Blue Ribbon Bacon Festival will be sold online through a link at www.blueribbonbaconfestival.com and by phone at (866) 553-2457 on 12/10/15 beginning at 12:10 pm CT. To secure two tickets prior to the official sale date, beginning on December 3, bacon-lovers can speed-walk (or drive) to their Greater Des Moines Hy-Vee Store and buy two tickets with the purchase of a package of bacon from participating bacon brands. The one-day event will offer: bacon-inspired fitness sessions, extensive bacon sampling, bacon lectures, bacon-inspired dishes, a Body by Bacon costume contest, bacon competitions, an annual bacon queen, bacon awards, live entertainment and international bacon fellowship. 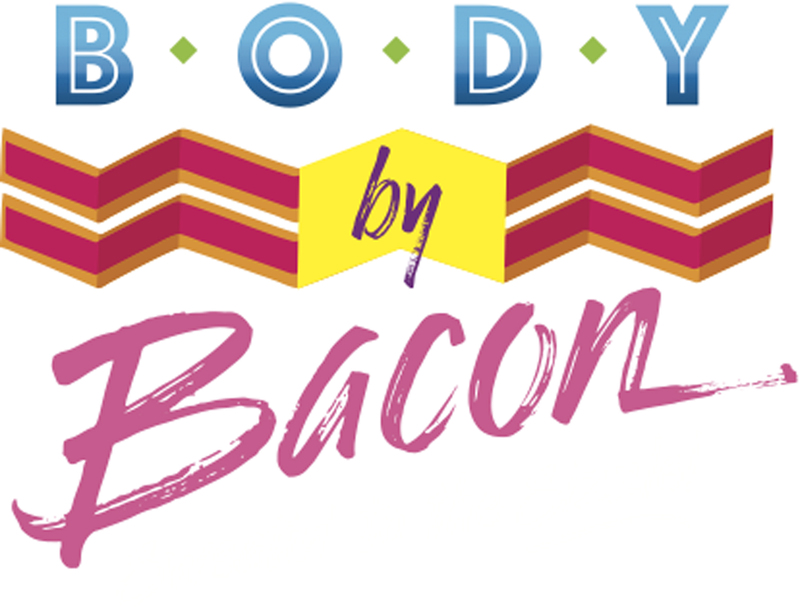 Asked if the Iowa Bacon Board is serious about encouraging bacon-lovers to break a sweat, Reynolds responded, “If commissioning a bacon-themed aerobics video called, ‘Body by Bacon’ isn’t serious then I don’t know what is.” Reynolds is serious. Seriously. Watch the “Body by Bacon” workout video. To learn more about the event and opportunities to win tickets, frequently visit the website, “like” Blue Ribbon Bacon Festival on Facebook, and follow the event on Twitter @BRBaconfest. — UNLIMITED BACON SAMPLES FROM THE LARGEST BACON SHOWCASE IN THE WORLD! — Guaranteed Seating: Seating at the festival is limited and with a table you have a place to sit, eat, rest and watch as the world of bacon explodes around you. — 10 Early Entry Tickets: Each table is provided 10 Early Admission Tickets to the festival. *All tickets are available for purchased at the Wells Fargo Arena Ticketing Office located at 233 Center Street, Des Moines, IA. Tickets purchased at the Ticketing Office will NOT be subject to online ticketing fees. Tickets are also available at Greater Des Moines Hy-Vee stores. Recognized as the world’s premier bacon festival, the much talked about Blue Ribbon Bacon Festival takes place annually in Des Moines, IA. Organized and promoted by the Iowa Bacon Board, the festival offers food, fun, and most importantly international bacon fellowship. Bacon-enthusiasts from around the world gather for one day of extensive bacon sampling, bacon lectures, bacon-inspired dishes, bacon competitions, an annual bacon queen contest, bacon awards and live entertainment. Every year, the festival announces a wacky theme for attendees, restaurants and sponsors to embrace. From Baconmania VIII’s wrestling vibe to Viva Las Bacon’s tribute to old Vegas, everyone gets a little goofy to take part in the bacon madness.